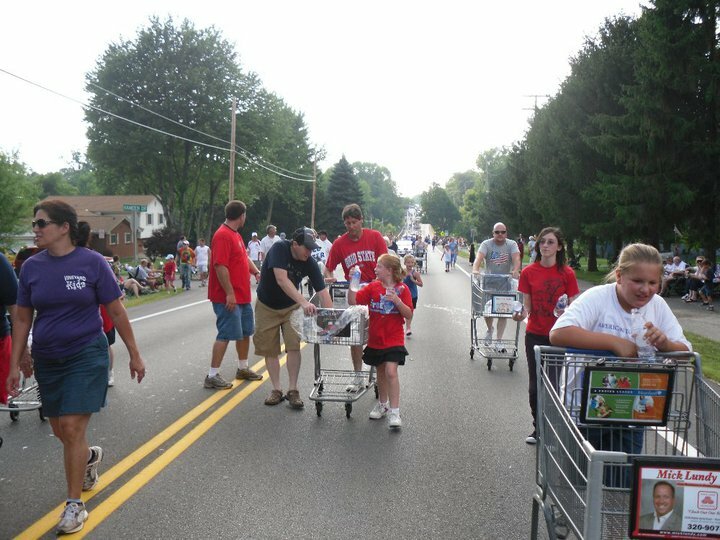 What an amazing time at the Beavercreek 4th of July parade! We had a blast! We gathered at our position, we were number 26 in a line of about 80 participants. We even had a tree for shade to wait under until the launch of the parade. 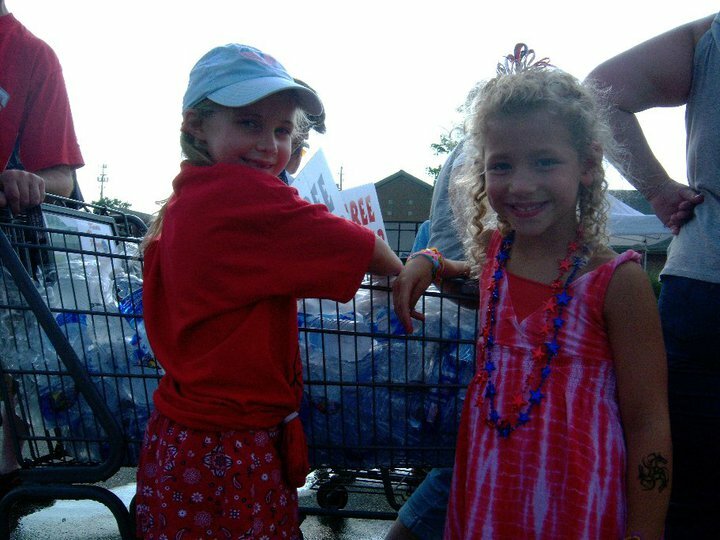 One thing we immediately noticed, people participating in the parade, and those who were waiting for the parade to start were thirsty. 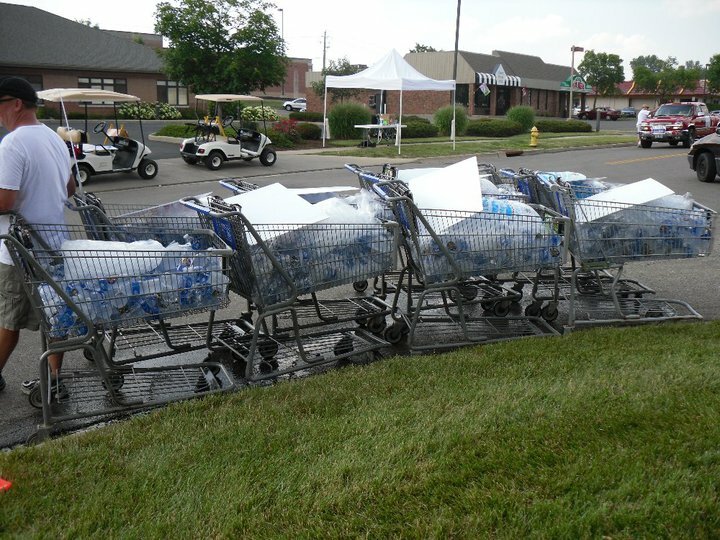 Approx 300 bottles left the carts before we started the parade. 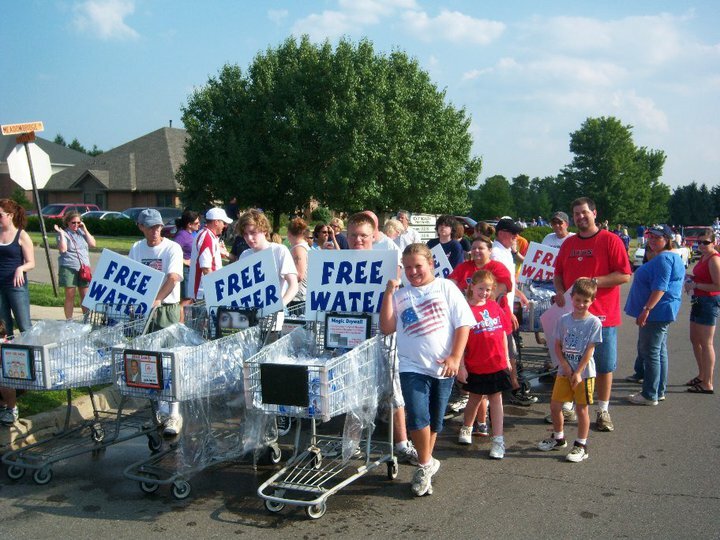 In hindsight we should have brought a few carts of water just for the people participating in the parade, pushed the carts down the line up, and had a few carts of water waiting at the end of the parade route for the people who marched in the parade. It was interesting, we intentionally did not have a giant banner sign that said, ‘The Vineyard A pretty good church.’ We did have many signs that stated, ‘Free Water.’ The only ‘church’ item was the sticker. It was interesting to see the reactions when people read the label. Smiles, puzzled looks, interested expressions, one lady said, Vine Yard, no, Vineyard, they’re a church?! No large sign was the spin, humble intention, that hopefully stated, you are the important one, not us. The Vineyard Kidz had a blast, the parents and adults on the team also were hero’s and represented a good cross section from kid, to teen, to young adult, to people my age. Here is a note from the organizer. 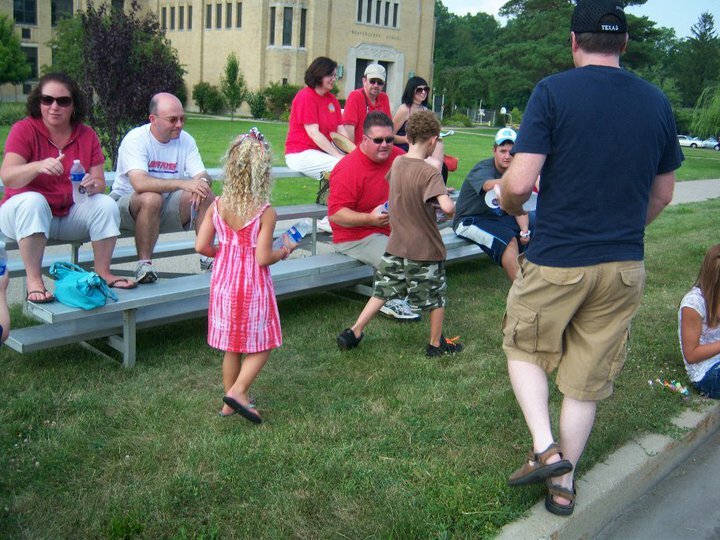 Thanks so much for supporting the Beavercreek parade; fireworks tonight. We really appreciate having the Vineyard Kidz out; about! 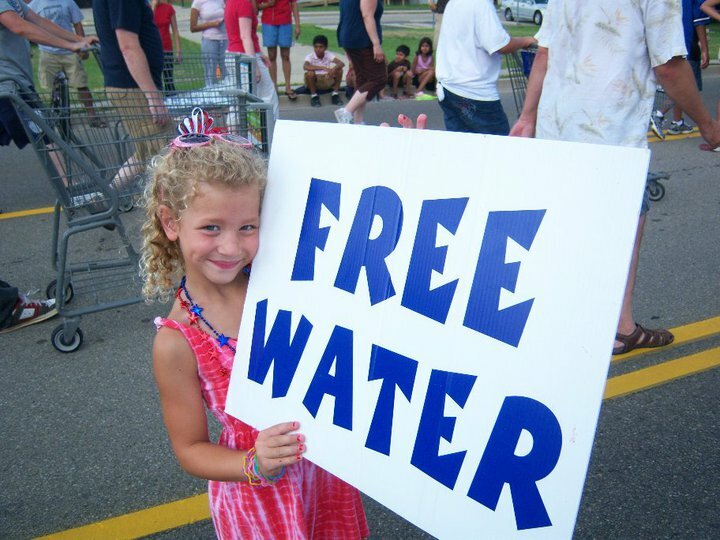 Thanks for sharing hydrating the crowd! Hope to have you back next year! !